Yes, it is almost November which means, Yes, it is almost Thanksgiving, which means, YES, it is almost CHRISTMAS!!!! Yes, the holidays have creeped up on us SO FAST and it is really time to start thinking about holiday gifts and entertaining! 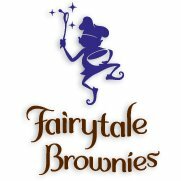 If you have a sweet tooth on your list or just love to serve sweet treats at the holidays for dessert and snacks, then seriously consider Fairytale Brownies, my very guilty pleasure and favorite sweets company!!! Every batch is made by hand using a secret family recipe. The brownies, cookies and bars are all natural, baked with the finest ingredients such as dark chocolate, farm fresh eggs, pure creamery butter, and dark brown sugar. Each brownie, cookie and bar is individually wrapped and certified kosher dairy. Choosing a favorite gift from their new options will be a sweet challenge for Fairytale Brownies holiday shoppers. 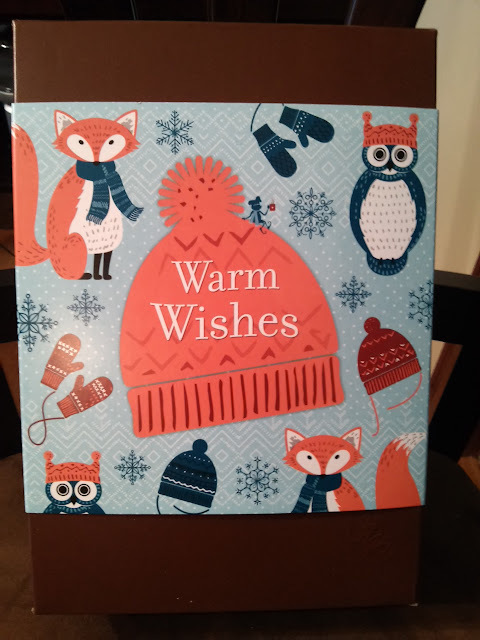 And I LOVE their new Warm Wishes packaging! 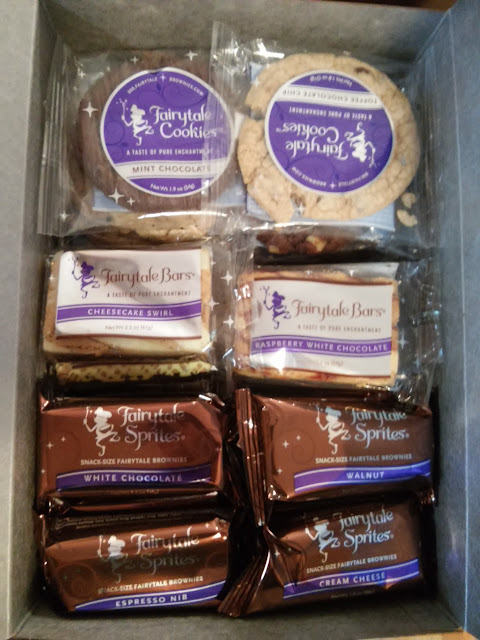 I received the Warm Wishes Deluxe Bar, Sprite & Cookie Combo and it was the perfect mix of my favorite goodies from Fairytale Brownies - cookies, sprites and bars! This combination of snack-size Fairytale Sprites, moist, chewy Fairytale Cookies and buttery Fairytale Bars came in a classic gift box and wrapped with a whimsical Warm Wishes gift band. I had no hestitation to ENJOY! as the package stated! The gift box was so cute but even better was the look of the goodies inside! 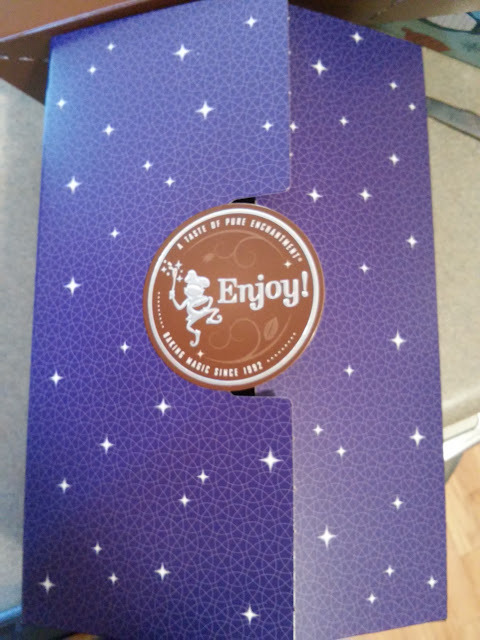 My mouth immediately watered at the variety of bars and cookies inside including classic Chocolate Chip, Cheesecake Swirl, Toffee Chocolate Chip, Walnut, Coconut and so many more! I loved the varieties of flavors and they were ALL good no matter what flavor they were!!! So as you start to get chillier with fall and winter arriving, send Warm Wishes and Fairytale Brownies to yourself or a loved one! They are sure to make your mouth water and you will love every delicious bite! You can purchase the Warm Wishes Deluxe Bar, Sprite & Cookie Combo for $53.95 from the Fairytale Brownies website.